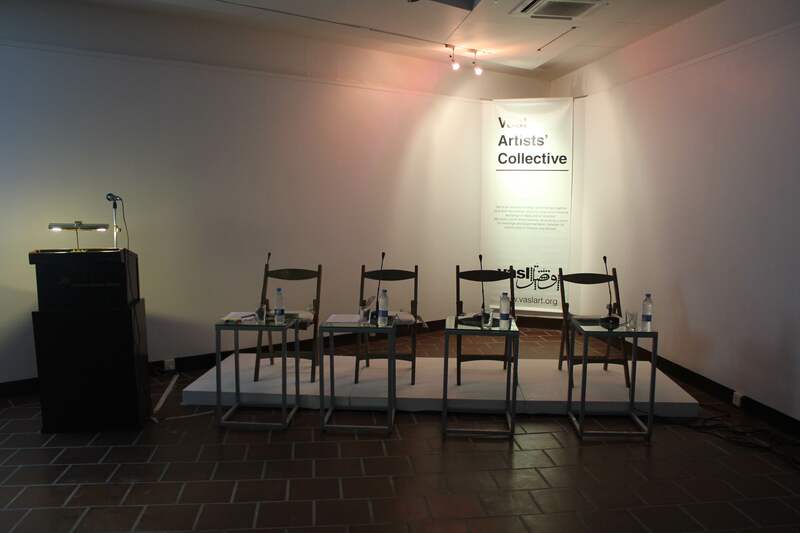 Creative Encounters: The Cultural Partnership between Asia and Europe was a year-long project that sought to develop and distribute debates on research, curatorship and artist supported networks such as Vasl in Pakistan. The workshop was conceived in collaboration with Gasworks (UK) and Vasl (Pakistan). It was funded by a grant from Arts Network Asia and the Asia Europe Foundation. Support for this project was also provided by The Arts Council of England. PhD candidate Emily Crane visited Vasl, Karachi as part of her academic research on the Triangle Network and the development of networked organizational models in the international art world, particularly in Africa and South Asia. Crane contributed a research paper to the program, based on her visit and experience while at Vasl. Emily Crane organized a seminar at the Courtauld Institute in London called Curating in Asia, inspired by her research during her visit to Pakistan and India. Jamie George’s residency, part of the Gasworks International Fellowships Program, opened the project and examined curatorial practices from a studio-based perspective. Jamie George took inspiration from the film After 5 years of Living (1955), by Charles and Ray Eames Film House and created a pairing video that highlighted deaths of utopian ideas and spaces of degradation, exposed to specters of the past. The videos were screened at The Second Floor in Karachi. In Jamie George’s video Lacuna (2012), defaced coins and eroded cast surfaces were placed in a coarse space. Over time, concrete dust blew over them and changed the textures of light. The objects were materials in the process of becoming tangible items or fully formed articles now in the process of degradation. The work’s title Lacuna reflects on gaps and losses of memory and the video utilizes a shifting spectrum of overlaid colors to locate the objects in a precisely temporal space. The main event of the Curatorial Knowledge Workshop was a residency with artists Ferwa Ibrahim, Rabbya Naseer and Zainub Mawaz. 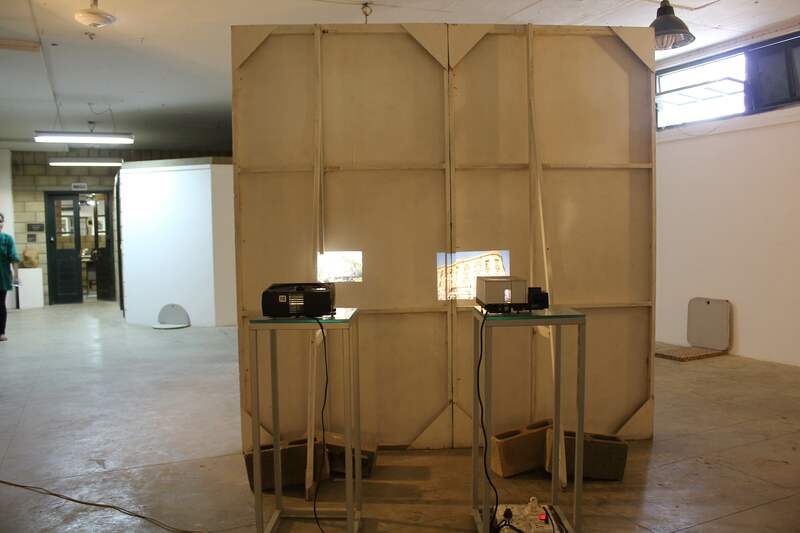 The residency culminated in a forum on November 17, 2012 at the Indus Valley School of Art and Architecture. The forum included panel discussions and papers from participants Quddus Mirza, Niilofer Farukh, Ayesha Omer, Emaan Mahumd and Abdullah Qamar. Residency participants also contributed to panels and essays. As part of the Curatorial Knowledge Workshop and no.w.here’s Summer School Program, Gemma Sharpe hosted a seminar on issues of judgment within the international art world. 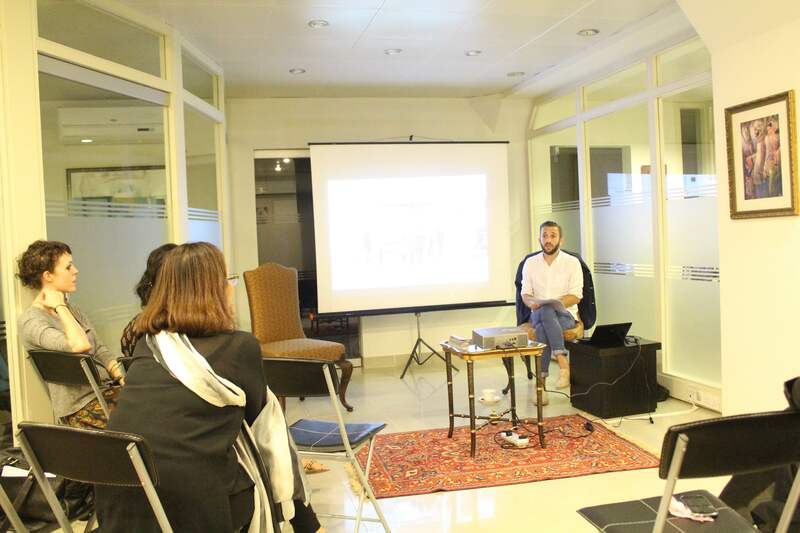 Gasworks Residencies Program Coordinator, Rowan Geddis, visited Vasl in Karachi and Lahore in October 2012 as part of the Curatorial Knowledge Workshop. Geddis gave a talk at ArtNow Offices about his role at Gasworks, while offering advice to local artists about how to apply for residencies, build portfolios and process applications. Geddis’s visit to Pakistan resulted in the formation of a new funding agreement for the residency of a Pakistani artist at Gasworks, held annually in collaboration with Vasl. Laura Eggerton, a UK trained art historian and curator of the Abraaj Capital Art Prize, associated with the Dubai Art Fair, visited Vasl, Pakistan in November 2012. 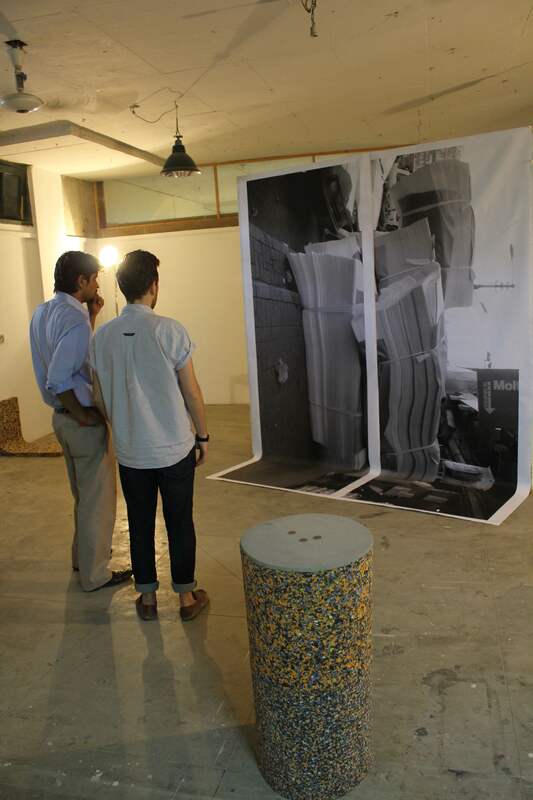 Laura visited galleries, institutions and artist studios in Karachi, where she spent time with resident curators and artists of the Vasl residency and shared her ideas and expertise with them. 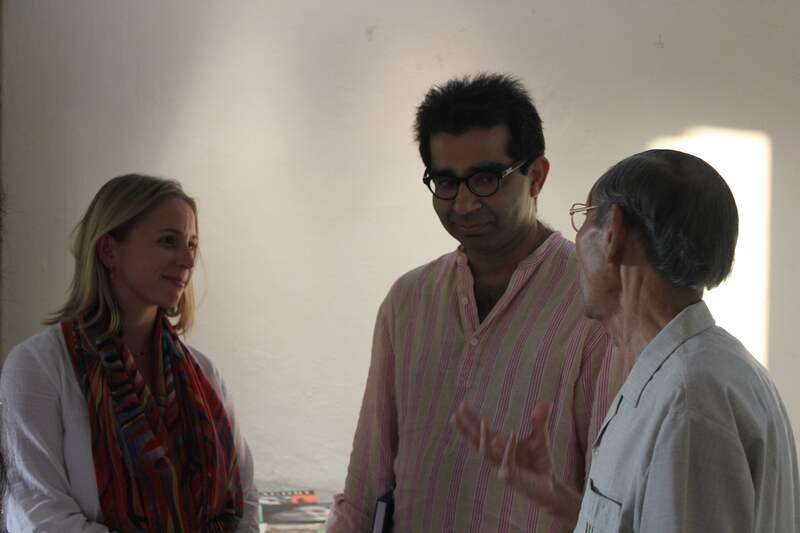 In Lahore, Laura Eggerton launched the new Abraaj Capital Art Prize publication (for the 2012 prize) at Rothas Gallery. The event included a panel discussion with Risham Syed, Huma Mulji and Salima Hashmi. 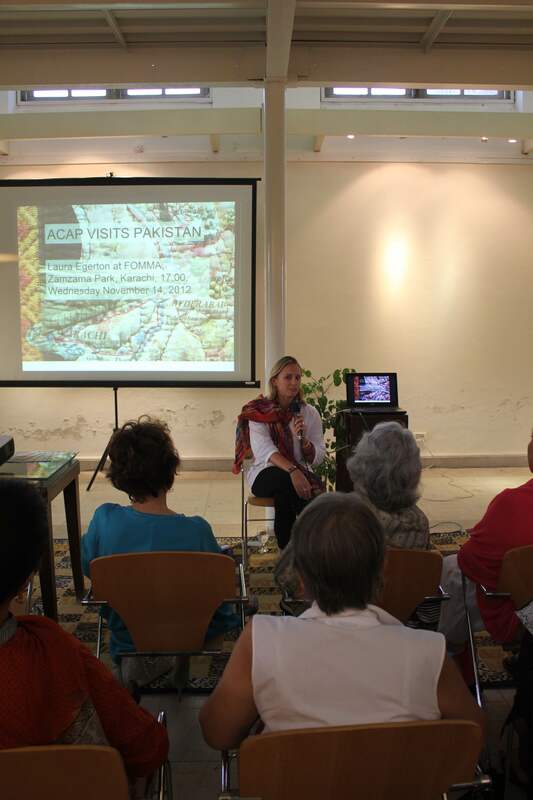 In Karachi, Laura Eggerton spoke about the Abraaj Prize at a forum, jointly organized by ArtNow, FOMMA DHA Art Center and Vasl at the FOMMA Foundation.